The quality of the shield was excellent. The weight: nice and heavy. 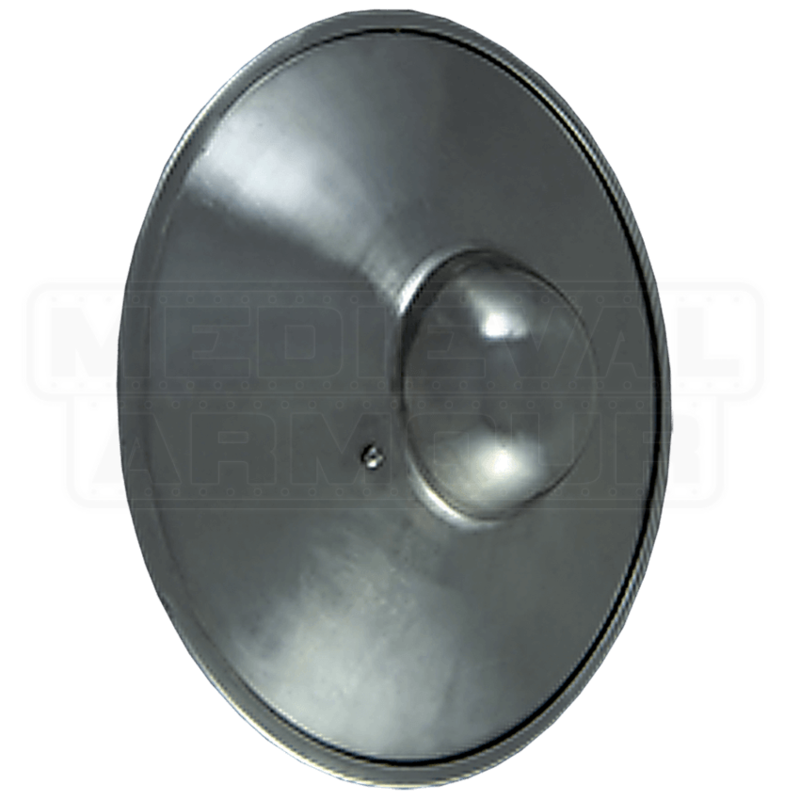 The size: best suited to broadsword or short sword. The durability: slight scratches across the surface from months of use. 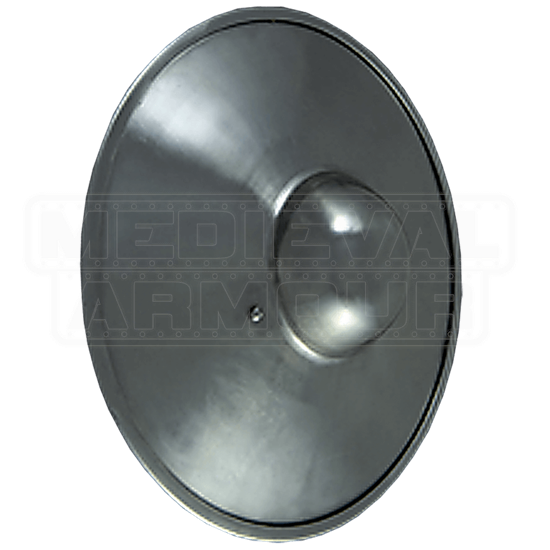 All in all, a very good shield if you want one 14 inches across.